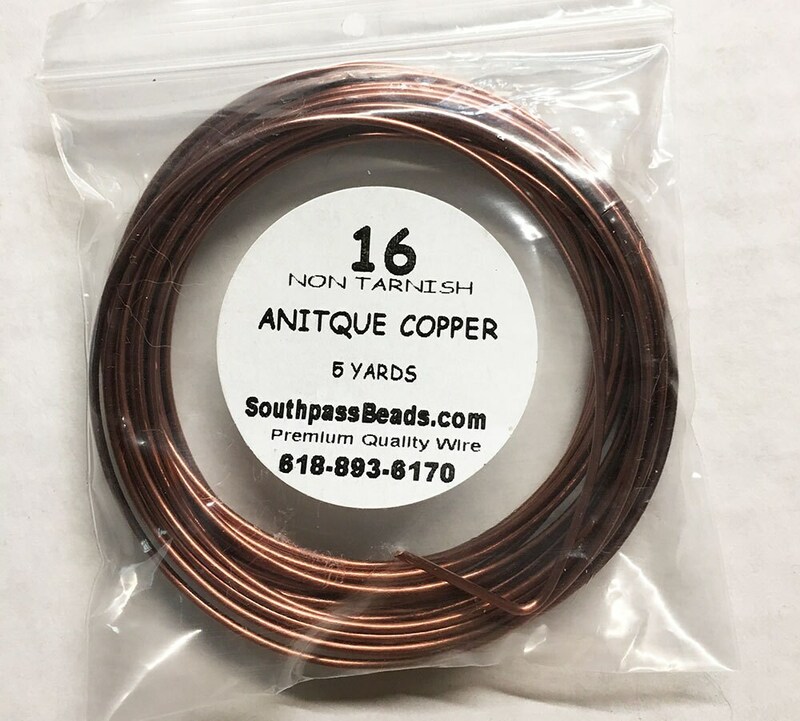 High quality antique copper non-tarnish wire, soft tempered, 16 ga. 5 yards (15 feet) or 4.6 meters . Made in USA. Professional quality craft wire for all your jewelry, craft, beading, and other artistic projects! Great item, arrived wicked fast! Thanks! Beatiful copper, I love it, thank you very much guys! Great price and fast shipping. I love this gauge in antique copper. Thanks. Perfect just what I wanted. Nice color and stiffness at this gauge for components. Love it. Fast shipping. Thank you for great supplies!